This registration is only available to those students currently enrolled in the 2013/2014 Ohio EE Cert Course. This is a discounted rate which does not include the cost of Saturday's events, which are covered as part of the EE Cert fee. Thursday Forums are also not included. This registration option is only for those currently enrolled in the 2013/2014 Ohio EE Certification Course. It is only available for those participating in Saturday's events, which will include breakfast, lunch, and the banquet. Includes Friday evening dinner, Saturday breakfast, lunch, and awards banquets, and Sunday breakfast. Does not include Thursday Forums. Includes Friday evening mixer, Saturday breakfast, lunch, and awards banquets, and Sunday breakfast. Does not include Thursday Forums. Includes breakfast, lunch, and awards banquet. Only includes lunch and materials on Thursday. Please indicate which forum you'd like to attend on your registration and you'll be charged $45. If you would like to attend any other parts of the conference, please select one of the other registration types and you'll still be able to register for the Thursday Forums. Please select your registration type by reading the descriptions on what is included with each type. You must register for Thursday Forums seperately. 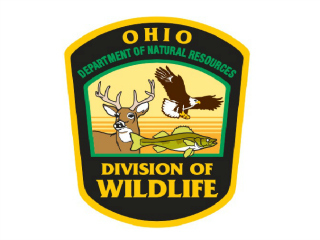 Join us at the scenic Deer Creek State Park for the 2014 Environmental Education Council of Ohio Annual Conference. Click here to print off program. This year’s theme brings us back to the basics of environmental education…Nature! Children are spending less and less time outdoors, both at home and at school. Yet there are more and more resources and programs dedicated to reversing this trend. Environmental Education is quietly regaining a foothold in K-12 education and teachers, students, parents, and administrators are taking notice. Whether it’s increased class time outside, project-based learning that focuses on the environment, citizen science, STEM, or environmental careers, things are changing. This year’s theme helps support the basics of Environmental Education by offering strands that help educators in all settings learn more about nature and how to utilize nature in their lessons, programs and projects. The EECO Annual Conference will take place at Deer Creek State Park Lodge, 22300 State Park Road 20, Mt. Sterling, OH 43143. Contact the Lodge at 1-800-282-7275 to book a room. Be sure to indicate that you're with the EECO conference to get the $89/night rate. This rate is available until February 26th. Contact Deer Creek Lodge directly for additional information about lodging. Deadline to register for the conference is March 14th!